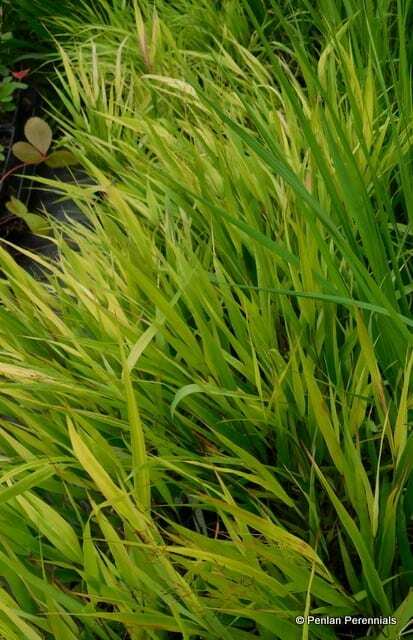 A Japanese forest grass which forms a dense mound of short wide green blades providing an excellent low ground cover in shade, whilst also being stunning in a large pot in a shady spot. Plant in multiples for effect or to soften borders or edges. The tips of the leaves turn red in the summer and the whole leaf turns red and purple shades in autumn. Deciduous, but leave the flowers on for added winter interest. Pot size 1.5 litre. Hardiness zone H7.